Most Indonesian people enjoy music concerts. But they have yet to embrace literary events. Maybe because those kind of events are simply nowhere to be seen. So, I salute the hardworking team and the initiator of MIWF 2013, mbak Lily Yulianti Farid @lilyyulianti, for their tremendous effort to put this event and ignite change in Indonesia, starting from Makassar. 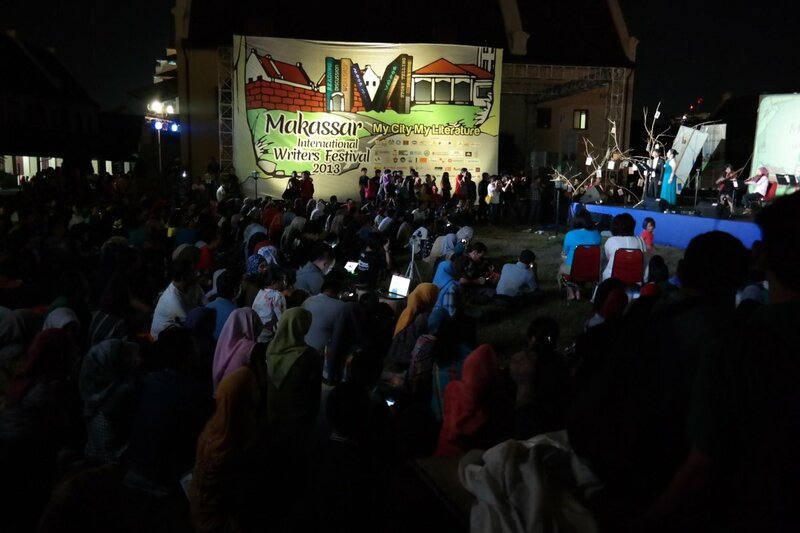 I was invited to represent NulisBuku.com as one of speakers in MIWF 2013. I’m so honored to be in the same list with Indonesian living legend Sapardi Djoko Damono, Dewi ‘Dee’ Lestari, Joko Pinurbo, and many other writers from all over the world. Due to some unexpected things happen on my side (I missed my flight, things that never happen in my life -_-), I got my speaking session rescheduled to the next day to a writing workshop with mas Krishna Pabichara @1bichara. 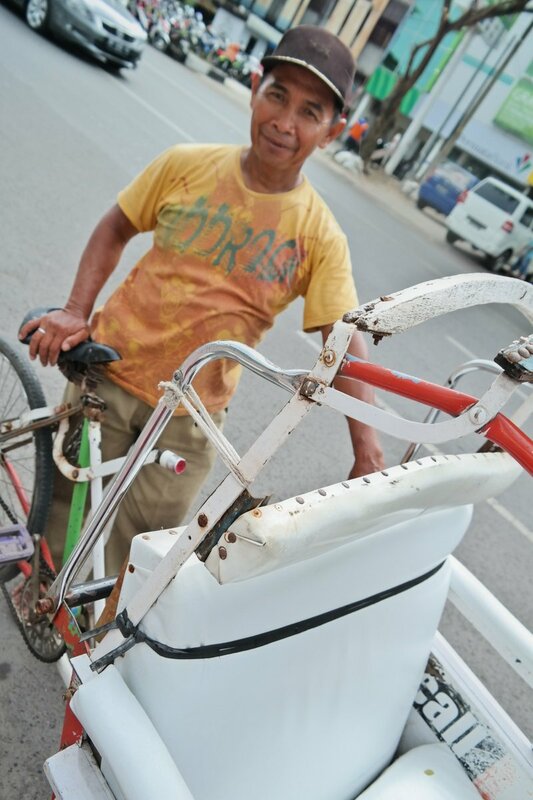 I really enjoy my personal chat with mas Khrisna, who’s the writer of the bestselling book ‘Sepatu Dahlan’, about Mr. Dahlan Iskan, and many other things. 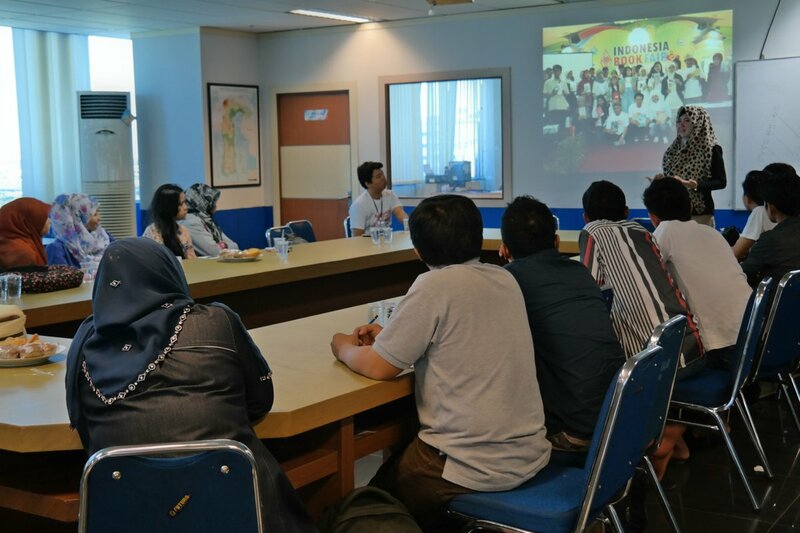 I also enjoy talking to enthusiasts young writers of Makassar that was also extremely talented. 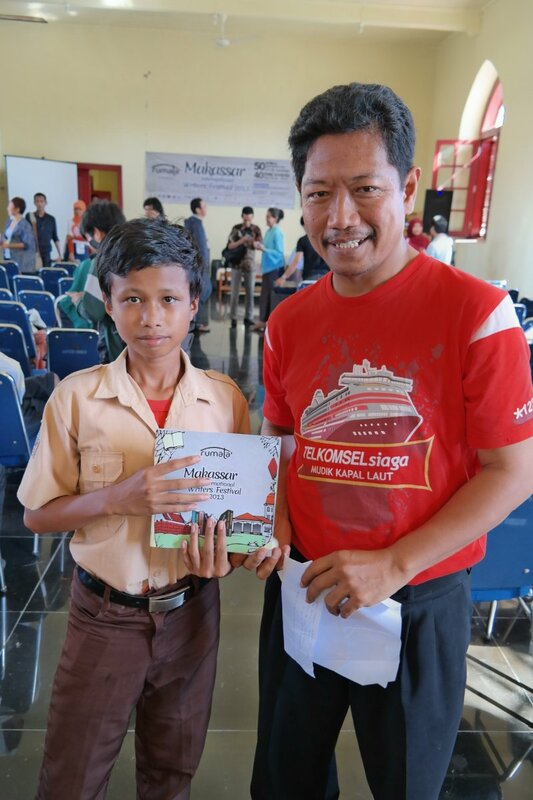 During the workshops, I met a teacher coming all the way from a city almost 2 hours from Makassar, with one of his students. He believes that by showing this kind of event (and after that he will take his student to a movie), it will create unforgettable experience that the student will be able to share back in his class. Teachers like him, gives me hope!